If you have always wanted to create a little piece of paradise in your own backyard, and thought the slope of your yard would make it impossible, think again! 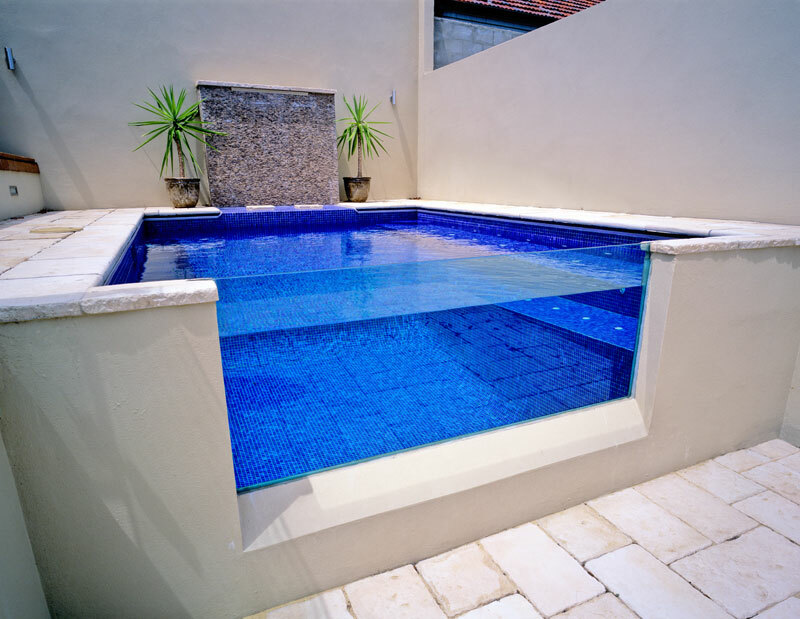 If you would like to put in an in-ground swimming pool in a sloping backyard, you’ll need to consider incorporating a retaining wall into your design. In this blog, we will take you through the types of retaining walls you can choose from, the features and trends of retaining walls, and the basic construction rules of thumb around backyard pools. There are two main types of retaining walls, masonry walls and segmented walls. Masonry walls are built with poured concrete or concrete blocks, and faced with stone. They give a natural and elegant look to the backyard, and when coupled with a landscape design that is both functional and aesthetically pleasing, you will add value and charm to your swimming pool. Segmented retaining walls are created by stacking pre-cast concrete blocks together. This is the most popular option for a few reasons. Firstly, while they come in a huge variety of colours and textures, making it quite simple to match the wall to your design, they are also the most cost-effective option. Natural bush rock and large sandstone blocks are becoming an increasingly popular trend in retaining options. The natural look of the stone blends seamlessly into a native landscape design, while creating levels and structure to retain even the steepest of sloped backyards. A combination of large stones and wooden panelling is also becoming quite popular in retaining, creating a modern and sophisticated look to any backyard. The size and grade of timber required will be dependent on the degree of slope of your backyard, and your landscaper should be able to steer you in the right direction. Whatever your backyard, Blue Haven Pools have a solution to get you swimming all year round! Contact us today on 13 20 25.